More than fifty years ago, Marshall McLuhan proclaimed that “the medium is the message,” profoundly influencing future generations of media theorists. A long-overdue wakeup call for the field of media studies, The Message is Murder analyzes the formations of violence still imbued in the everyday functions of the media. Jonathan Beller introduces the concept of computational capital to argue that contemporary media are not neutral, but rather they are technologies of political economy that became entangled with gendered and racialized capitalism in the twentieth and twenty-first centuries. Engaging with Borges, Turing, Hitchcock, and Marx, Beller offers an ambitious and provocative critique of contemporary media studies. 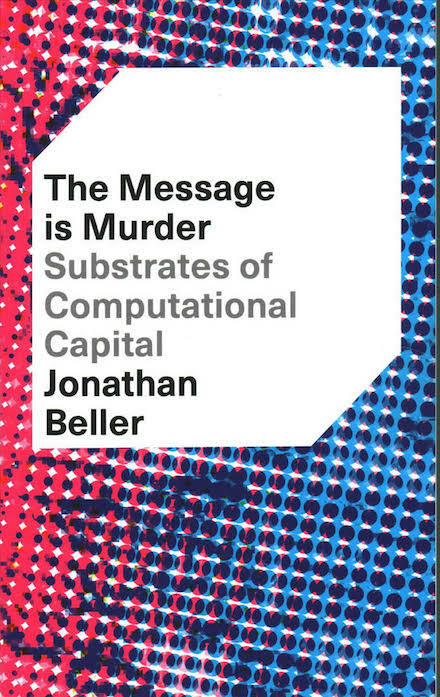 Jonathan Beller, The Message Is Murder: Substrates of Computational Capital. London: Pluto Press, 2017.